Well, I’ve finally made it to the letter Z! 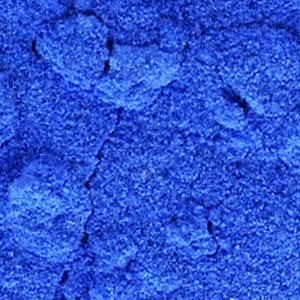 I’ve chosen the colour Zaffre-a deep blue pigment made from oxidised cobalt. The word comes from the Italian zaffera, which in turn comes from the Latin word sapphrius, meaning ‘sapphire’ (a deep blue precious stone). Keep reading to discover the symbolism behind this colour and see my Polyvore creations. Zaffre is also associated with the mind and intellect and is often used to represent intelligence in Literature (eg. Ravenclaw in Harry Potter and Erudite in Divergent). We also associate it with logic, communication and efficiency, as well as with the ocean. In Ancient Egypt, zaffre was associated with the sky and with divinity. It may also represent a deep calmness, or sometimes sadness and depression eg. ‘he was feeling blue’. It has connotations of formality and smartness, as it’s sometimes used in royal dress and in uniforms for the military and police force. As well as this, it can sometimes indicate unconventionality or rebelliousness. For example, the Celts used to dye their faces blue to frighten their enemies, and some people today like to dye their hair a bright zaffre blue to stand out from the crowd. Animals: Linckia blue starfish, poison dark frogs, peacocks, blue crowned pigeons, hyacinth macaws, some fish eg. blue tang fish. Do you like this vivid shade of blue? 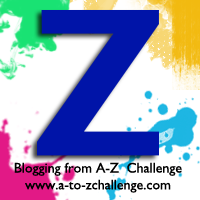 Have you participated in the A-Z challenge this year or enjoyed reading the posts? Can you think of any other colours beginning with Z? Hi there – I actually love this color! I've never heard of this color (at least not by name). It is beautiful though. I’ve never heard of this color (at least not by name). It is beautiful though.